I joined the Ali lab in July 2018 as a postdoctoral scholar studying plant-herbivore interactions. 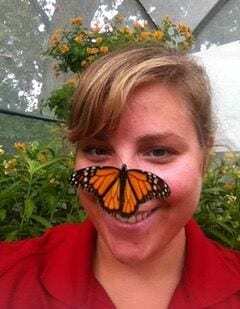 Currently, I am working with monarch butterflies and a variety of milkweed species to elucidate the relationship between host plant and adult physiology. I hope that this work provides insight on how to best restore monarch habitat, especially along migratory corridors. In general, I am interested in pollinator conservation, plant-insect interactions, restoration ecology, environmental education and outreach, and global change biology. We have a cool new paper in Functional Ecology!! New paper on herbivore feeding guild interactions!